Venice Bakery | Home | Producer of Gluten-Free and Plant-Based pizza crusts. Available for Private Label and Custom Formulations. We are continuously innovating new pizza crusts that meet the increase demand of gluten-free and plant-based foods. Stay tuned for our newest creation. Our gluten-free & plant-based pizza crusts will provide the differentiation your brand is looking for. We are a NSF certified gluten-free manufacturer. Our production lines include only ingredients that are safe for those who are gluten-free. Our plant-based pizza crusts deliver on both flavor and quality. Our foodservice program is available to grocery stores and markets, pizza chains and restaurants. We can use your original recipe, or help you to create a unique formula designed specifically to add quality, selection and value to your business. 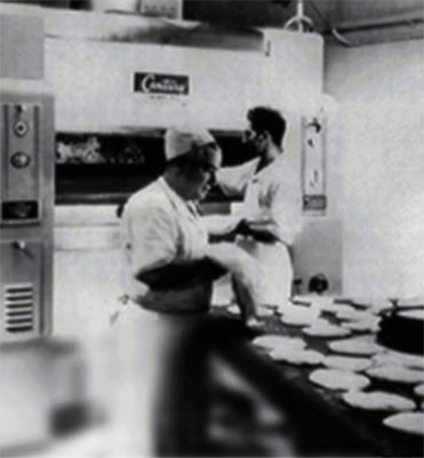 Founded in 1953, Venice Bakery is a Los Angeles based company that supplies the food service industry, grocery stores and markets, as well as restaurants and pizza chains across America. From our humble beginnings of artisanal breads and crusts, Venice continues to satisfy customers with a wide variety of delicious, convenient, and health conscious products.